With a talent for color, shapes and lines, Ms. Everson has quickly established herself as an able artist within her local community and the state of West Virginia. She is mostly known for her watercolor designs, but she also makes well-designed handmade soaps. Along with other local artists, she started an art gallery to create a venue for local artists to sell and market their work. 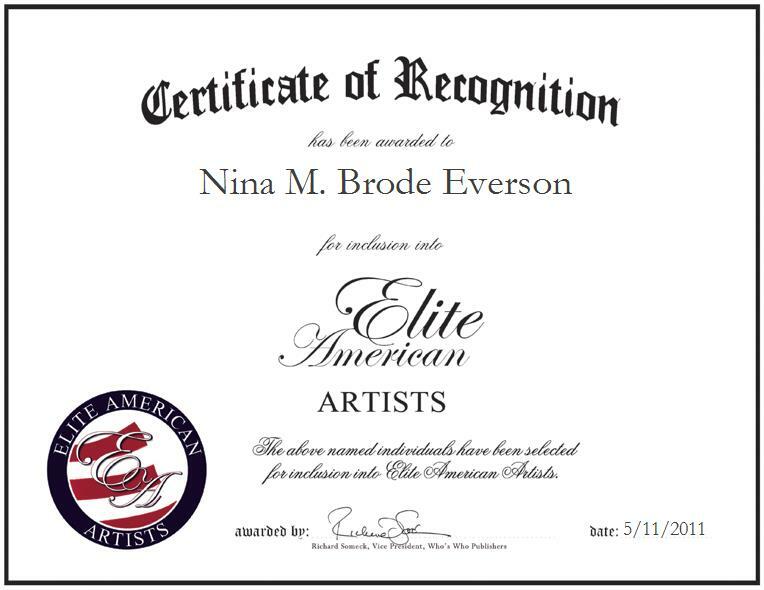 Ms. Everson has been recognized with numerous awards and accolades, including an award for most popular painting at the West Virginia Festival Art Show. To view Ms. Everson’s work, please visit http://www.wvhighlights.com.